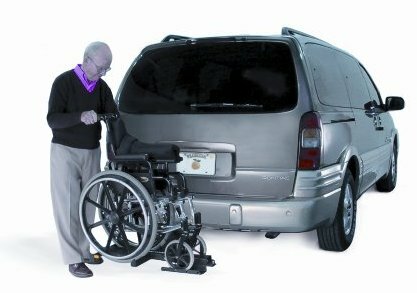 Tired of lifting that heavy wheelchair into the trunk? The AL 003 is the answer!! This lift easily tilts for loading and is designed to work with manual (non-electric) wheelchairs. 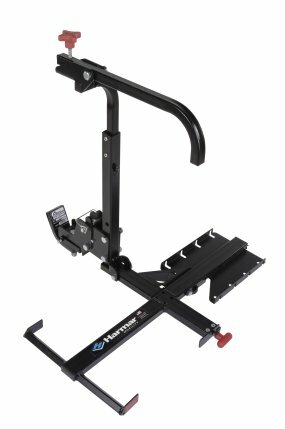 The AL 003 is very light weight lift that will easily attach to any vehicle that will accept a standard ball mount, class I, II or III hitch. 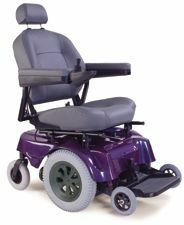 Simply release the locking handle, tilt and roll the folded manual wheelchair onto the tilted platform. Release the locking arm to secure the wheelchair to the lift, push the wheelchair forward to tilt the lift in the locking position, and off you go! The AL 003 also folds up vertically against your vehicle when not in use. One handle releases lift to tilt. Roll chair on lift and the unique hold down arm secures the wheelchair to the lift. Push the wheelchair forward and the lift locks into place. Deck folds easily when not in use. Folds down to access tail gates and rear hatches on vans and SUV's.